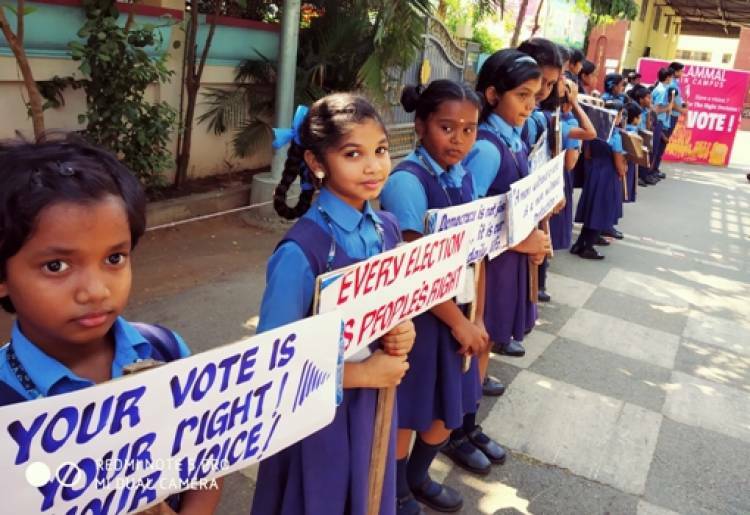 In order to motivate voters to exercise their franchise, students of Velammal Main School, Mogappair campus conducted voters awareness campaign on 13.4.2019(Saturday) in its premises. As a part of the initiative, students displayed placards insisting the voters to exercise their democratic rights and ensure 100% polling. Around 500 students took part in this awareness drive. Messages such as “Each vote counts” and “Be counted” were written on the placards.